PEPS A DYNAMO ("Scotch") and some of his girls. "Scotch" has an excellent temperment and his trainers always commented on his super mind and trainability. He's really well-balanced, has a nice head and neck, very good feet and stands 15.1, weighing (a guess!) 1,100. 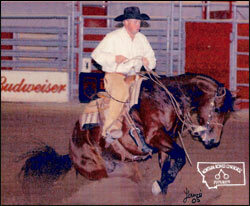 He was lightly shown NRCHA, winning just over $3,800--then he came home to go to work for us. I decided to take him for a ride through the hills the other day (after about a 3 year hiatus!) and he rode off just like he'd been ridden yesterday. He puts his disposition on his colts--they have been a lot of fun to work with. 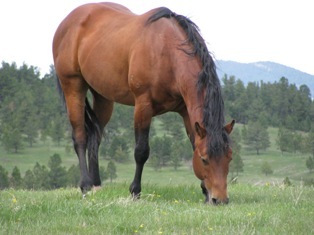 Our goal is to raise good cow horses as well as ranch/rodeo horses. I don't think you will be disappointed in any of the ones you find here! 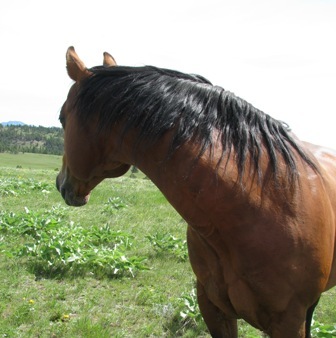 His colts are eligible for the Montana Reined Cowhorse Futurity Stallion Stakes. 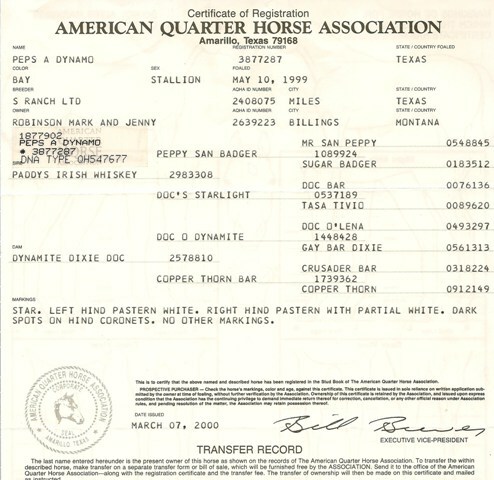 His first two to show placed well, and have NRCHA earnings on their records. Irish Royal Flush, a 2009 gelding, even showed up on the Equistat 2012 NRCHA top 100 horses in the open and limited open, shown by Eric Branger!